For Heroin addiction, there’s Suboxone, or Methadone. For alcohol there’s Naltroxone. Smoking has a patch, a piece of gum you can chew, there’s even hypnosis. But for the dangerous addictive drug Meth, there’s nothing. Jason, who only wanted to be identified by his first name, has been battling a methamphetamine addiction for 5 years. He tried going cold turkey, but it wasn’t easy. “I was just lucky that I had support of people around me to be able to come off it cold turkey, some people don’t,” he said. Recovering addict Jason is looking hopeful that one day they will have a pill prescribed to people like him and be available over the counter to help other addicts beat their addiction. But in Australia, a discovery that aims to cure alcohol and drug addiction is planning on being tested in humans in the next coming years. The pill named SOC-1 and it is supposed to impersonate the hormone oxytocin, which is supposed to bolster bonding and social interactions. When the molecule was exposed to mice in studies, it proved its use as a powerful substance use disorder. It’s been over a decade since University of Syndey researchers have begun developing the SOC-1 molecule which was created to overcome the challenges that tablets or spray forms of oxytocin. “Oxytocin itself is really far from an ideal therapeutic compound. 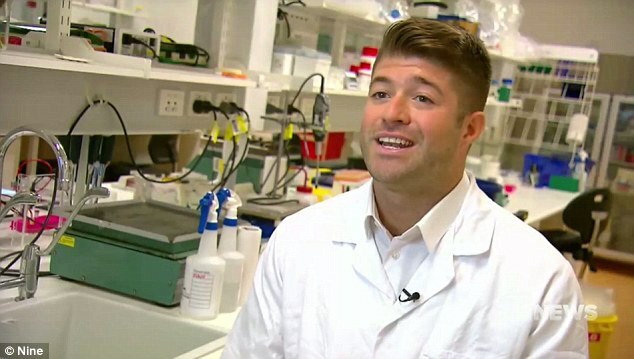 It can’t be taken in pill form because it just gets broken down by enzymes in the gut,” Dr Michael Bowen from the University of Sydney’s Brain and Mind Centre told 9NEWS in Australia. “SOC-1 has more than halved consumption of alcohol down to levels that are not intoxicating. It has led to a nearly 90 percent reduction in the motivation to consume cocaine and a greater than 85 percent reduction in methamphetamine consumption,” Dr Bowen said. In separate experiments the studies showed the molecule blocked methamphetamine relapses entirely. “We’re hoping that will translate into the clinic,” Dr Bowen. “In fact, we actually think that one of the ways SOC-1 might be working is by shifting focus away from seeking out and consuming addictive substances and instead onto seeking out the positive social interactions that we know are really critical for long-term recovery,” Dr Bowen said. Odyssey House Victoria is one of two rehabilitation programs operating in Australia, the other in NSW. They believe hat a proven medication may be a beneficial adjunct to holistic treatment. Dr. Bowen is anxious to see the day when his medications can be used to help real life addiction sufferers. “The World Health Organisation attributes a whopping 15 percent of all deaths worldwide each year to harmful use of addictive substances,” he said.